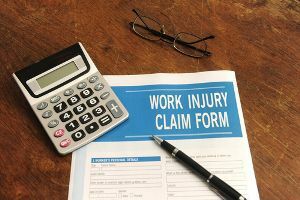 After a workplace injury has left someone laid up and out of a job for some time, one of their worst fears is that their workers’ compensation claim will be denied. With so much riding on one claim—things like medical payments, household expenses, and hope for a full recovery—imagining life after a denial can be frightening. For many people, these fears become a reality after their claim is denied. While it is always possible to appeal a denial, it only adds to the amount of time that these individuals will be forced to live without the financial and medical help that they need. When you are out of work, even for a few short weeks, time is money—literally. Do not wait to report your injuries to your employer. Many people wait too long to inform their employer of their workplace injuries, often missing the 30-day deadline to report altogether. Reporting your injuries quickly can help ensure that you receive benefits as soon as possible. Do not assume that your doctor is authorized by your employer. You may see any doctor for emergency care immediately following your accident, but for your treatment you will need to seek medical help from your employer’s list of at least six authorized physicians. Do not seek additional work if you are receiving Temporary Total Disability Benefits. Taking on employment could jeopardize these benefits. Do not submit your claim without first checking and double-checking it for errors. Inaccurate or false information can lead to a delay or denial. With your financial stability and medical care relying so heavily on a successful outcome, there is little sense in leaving your workers’ compensation claim to chance.